Thank you to everyone who participated in last week’s Vision VR/AR Summit in Hollywood, CA—what a show! ForgeFX Training Simulations was honored to demonstrate the JLG Immersive Trainer, a virtual reality-based industrial equipment training simulator, that we developed for JLG Industries, Inc. JLG’s VR-based equipment simulator provides training on everything from machine control familiarization, to equipment operation, to advanced spatial awareness challenges. 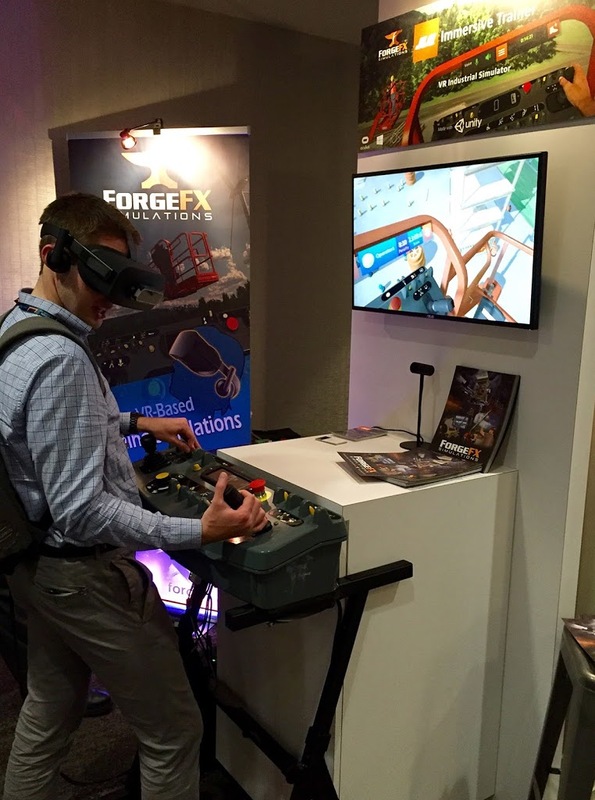 JLG Industries, Inc., an Oshkosh Corporation company and a leading global manufacturer of aerial work platforms and telehandlers, partnered with ForgeFX Training Simulations to develop the JLG Immersive Trainer, a virtual reality industrial training simulator for JLG equipment. The JLG Immersive Trainer was featured in the at the 2017 Unity Vision VR/AR Summit Showcase, where attendees could “meet the innovators pioneering the best in virtual, augmented, and mixed realities from around the world.“. Virtual reality and industrial training simulators are a marriage made in heaven. By deploying industrial equipment training simulators as VR applications, we are able to deliver a virtual training experience that is far more immersive than traditional screen-based training simulators. The JLG VR Equipment Training Simulator, in addition to featuring interactive real-time stereoscopic 3D environments and equipment types, includes head, hand and positional tracking, which gives the trainee the ability to interact with the virtual world and machinery in a dramatically lifelike and realistic fashion. By integrating fully functional real-world equipment controls, and corresponding in-simulation virtual controls, the JLG Immersive Trainer provides an extremely interactive and immersive virtual industrial training simulator. The Vision VR/AR Summit, sponsored by Unity Technologies, is an event for artists, engineers, programmers, designers, musicians, directors, producers, hardware manufacturers and researchers. The content and networking are focused on furthering the knowledge base of anyone developing virtual and/or augmented reality content in Unity. 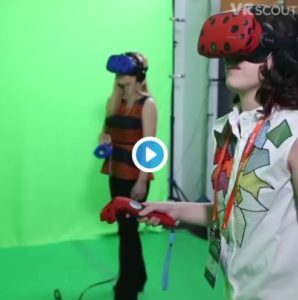 This year’s showcase featured dozens of great talks and demonstrations from some of the biggest companies and contributors that are advancing the use of virtual and augmented reality. Unity Technologies has made a number of the Vision VR/AR Summit 2017 Keynotes available on their YouTube channel. Watch the Vision VR/AR Summit 2017 Keynote with an intro from Unity Global Head of xR Tony Parisi. In his address, Unity CEO John Riccitiello outlines how and when VR will truly take off.